Frequent flyers know what a pain it is to peel off those sticky luggage tags after a trip. 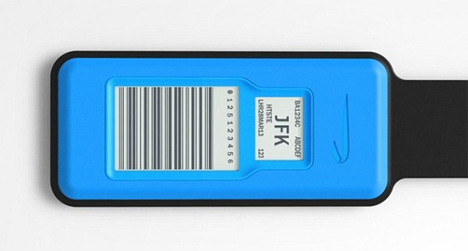 British Airways feel your pain and they’ve decided to try out something completely different: personal electronic luggage tags that you never have to remove. The tags have a battery life of about five years, so they can accompany your luggage on many travels without ever having to be replaced. When you check in at the airport, you can hold down a smartphone provided by the airline to sync your ticket to your luggage data. 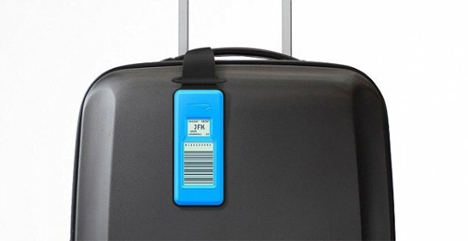 The small screen on the electronic luggage tag changes to include all of your information encoded in a personalized barcode. A paper printout also shows you the details so you know the tag was encoded correctl y. The information stays on the electronic screens all throughout your trip, so at check-in, departure and collection your tag will still have your flight information, just as it would if you were using sticky plastic tags. When you check in for a different flight the barcode and screen information changes. It stays on the screen but the battery shuts off, meaning that it isn’t using battery power the entire time. As such, the tags can be used over and over. The suits at BA feel that this and other innovations will help streamline the air travel process, making it less of a headache for everyone involved.